Mens Breitling watches are the ultimate in precision instruments, leading the way in wrist chronograph development. Each model is equipped with Chronometer-certified movements. 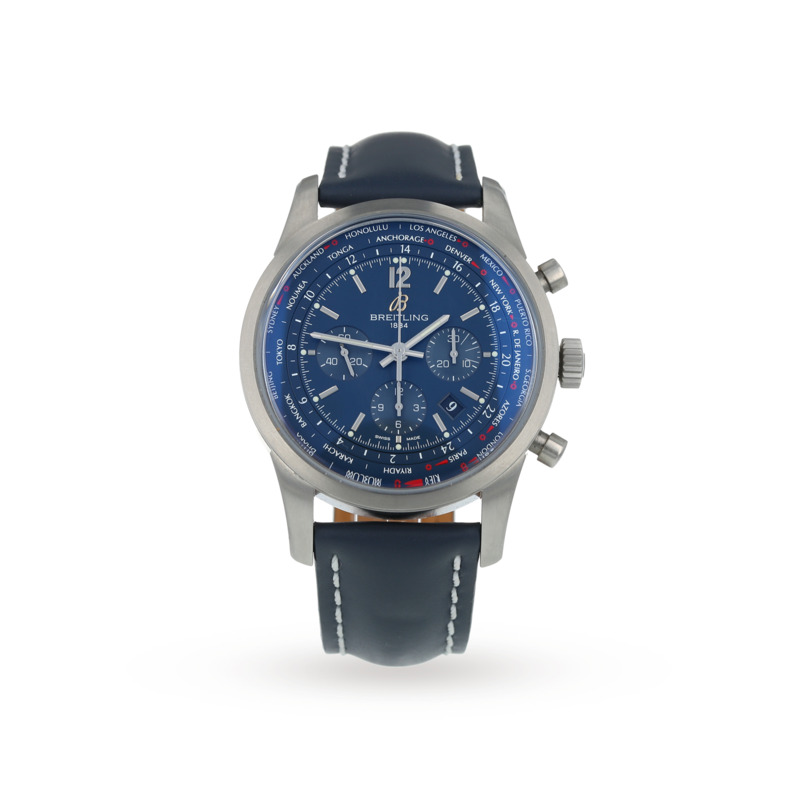 This Pre-Owned Breitling Chronomat Mens Watch comes equipped with a 44mm stainless steel case, which houses the blue dial and hand-made automatic movement that provides the power. Attached to the case is a rubber bracelet, fitted with a deployment clasp for increased comfort on the wrist. The timepiece is water resistant up to 500 metres. Pre-Owned Information Condition - Some signs of previous wear may be present on the watch. Packaging - Box included. Warranty - 24 Month warranty provided. This Is an Image of the Actual Watch. This Pre-Owned Breitling Unitime Pilot Mens Watch comes equipped with a stainless steel case which houses the black dial and automatic movement that provides the power. Attached to the case is a stainless steel bracelet clasp for added security on the wrist and has a water resistance of 100 Metres. Pre-Owned Information Condition - Some signs of previous wear may be present on the watch. Warranty - 24 Month warranty provided. This Is an Image of the Actual Watch.